A Bangladore family in the spice trade is faced with a crisis of interdependence. The narrator’s uncle managed to transform their family into wealthy entrepreneurs (doing so practically overnight), and each member of the household must decide how best to embrace their new lifestyle and evaluate how much of that life should stay reliant on their relatives. 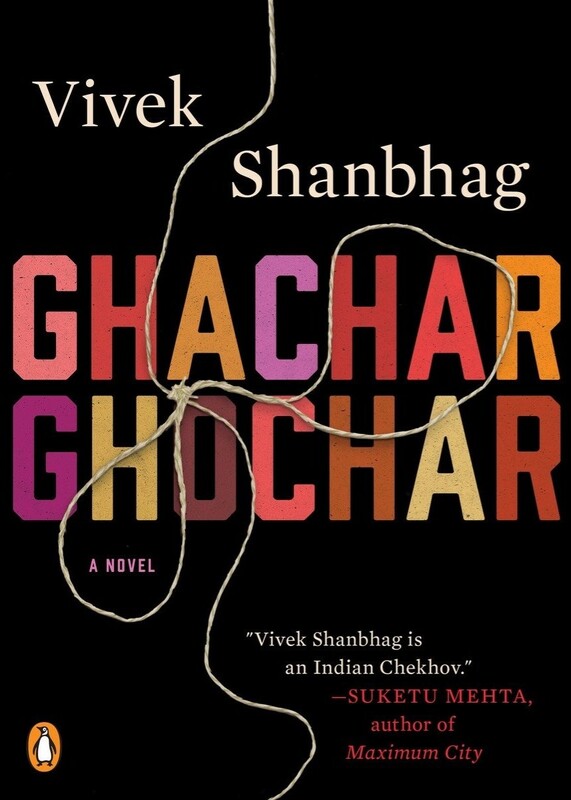 Vivek Shanbhag’s short novel Ghachar Ghochar is a subtle book, but manages to deftly balance his characters’ sudden income against India’s evolving social mores. Despite being propelled towards modernity and wealth, the family prefers to rely on each other’s passivity. The narrator lives in the same house with his wife, sister, parents and uncle, and all are caught in the stasis of traditional expectations of business and gender roles. The men are involved with the company and the women cook at home. It’s stifling and old-fashioned, but it seems to work for them: despite minimal effort, their income flows steadily, almost suspiciously so. “A man in our society is supposed to fulfill his wife’s financial needs,” the narrator thinks, “but who knew he was to earn the money through his own toil?” When a female visitor threatens to upend their dated social existence, she’s turned away by Amma, the house matriarch, despite objections from the narrator’s progressive and outspoken wife, Anita. When Anita was a little girl, she and her brother made up the expression “Ghachar Ghochar” for when things were complicated and unspeakably tangled, like a hopelessly messy kite string. Anita first used the term in front of her husband on their pre-arranged wedding night, referring to the drawstring on her bedclothes; she had to distance herself from the overzealous narrator long enough to tease the knot free. With an easy shift one could look at the novel’s family with an eye for “Ghachar Ghochar” and see their reliance and lack of independence to be a knot of its own. Ghachar Ghochar is a slender, episodic 120 pages and features plenty of missed opportunities for development. 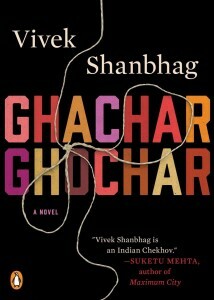 Shanbhag devotes much of his first chapter to Coffee House, a haven for the narrator when he needs a “respite from domestic skirmishes.” A man named Vincent works there and is considered to be a seer of sorts; although he speaks only a few words throughout the book, the narrator interprets his lines as being steeped in sagely wisdom. Vincent is fascinating but regrettably underused, reduced to little more than a quirky aside. After dedicating a chapter to each family member, the novel quickly shifts in tone. Shanbhag races towards a strange and perfunctory finish tinged with surprisingly blunt mentions of violence and crime. Although these themes are subtly woven throughout earlier scenes in the book, Shanbhag’s decisions at the end of the novel are garrulous, abrupt and feel out of character. Some may find Ghachar Ghochar to be a thrilling slow burn of a story and might revel in its rug-pulling conclusion, but a deeper search will find little justification for its cropped page count. While there are great ideas here, with so much underdeveloped it’s difficult not to view the work as being the first half of an unfinished, better novel. A Bangladore family in the spice trade is faced with a crisis of interdependence, caught in the stasis of traditional expectations of business and gender roles.